OK, Japan-o-philes. Thanks for the earlier tips re. coffee. Next obvious question - any tips on great places to eat, accessible from Shinjuku (staying near station), Kyoto (staying downtown area - a bit south), Osaka (staying Namba)? You are spoilt for choice in Shinjuku. Best bet is to think of dishes/specific food you wanna eat (sushi, yakiniku, okonomiyaki, soba noodles, Izakaya pub fare, shabu-shabu, eel, etc) & choose a restaurant that serves that food. If I recall correctly, you need to go to an Izakaya to get a range of dishes? Otherwise restaurants tend to specialise in a particular type? Yep. Any Izakaya in Shinjuku will offer a range of quality dishes. There are chain Izakaya like Watami, etc, but if you are adventurous, you could shoot for a smaller one. Otherwise, select the type of food you wanna eat that night & seek a restaurant that caters to that. A gazillion options in Shinjuku. In Osaka I’d have okonomiyaki. Dotonbori is filled with okonomiyaki restaurants or you could research highly reviewed options. But it’s hard to mess up, almost any joint would be fine. Kushikatsu too, although it’s much better in quality places. I don’t eat out enough in town to know specific restaurants to recommend. You’d find out more specific places on TripAdvisor, I’m sure. For streets/neighbourhoods with good options and atmosphere, try the little streets east of Nankai Namba station, nestled in before you hit Doguyasuji. Or just north near Hozenji Temple. Which part of Kyoto specifically? What’s near your accom? Staying ENSO ANGO FUYA II. So a bit south of Nishiki Mkt, Pontocho etc. but quite walkable. 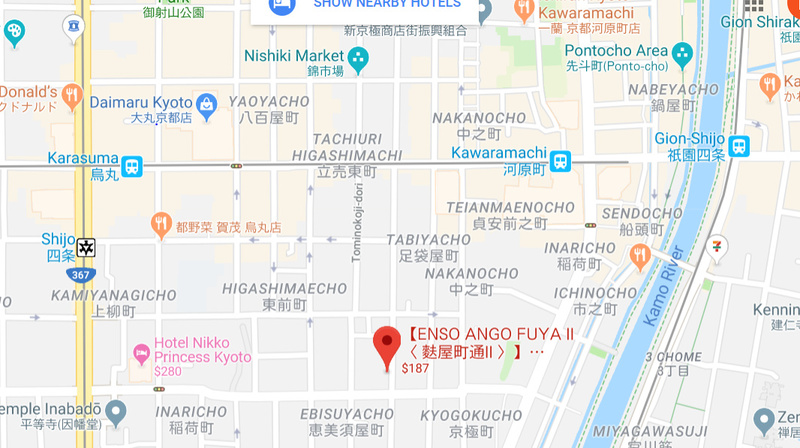 Oh yeah, very near Pontocho, good location to try. I thought perhaps you meant much further down, near Kyoto Station. These days I really only get to Kyoto occasionally for its craft beer joints, so unfortunately can’t recommend eateries. Whilst it’s not the best food by Japanese standards I loved heading into ■■■■ Alley, which was right by the train line. finding a low seat at the back of one of the tiny restaurants and putting away an icy cold long neck with a few skewers of miscellaneous meats. You couldn’t take kids there really though, and some of the places fare for locals only. Oh, and if you find your way to the suburb in Tokyo called Akihabra and like ramen. This place was the best ramen I have ever had, and the best dish I had in Japan. It’s a nothing place, but it was great. Probably seats about 15 people, and you order/pay at a vending machine outside and then bring your ticket in and sit down wherever you can. The only silver lining to us sucking is more holidays. We had set aside about 8-10 weekends to travel to Melbourne for the footy but the money will be put to better use now. Ichiran. Just about the best Ramen in Japan available in English. Also in all the cities you’ve mentioned. Open 24/7. I’m a ramen otaku. The best ramen I have ever eaten can be found at ‘Nanashi ramen’. It is Kumamoto-style tonkotsu ramen & unrivalled IMO. Flew into Tokyo on the overnight JAL flight, so no real sleep since 4.30 am Thu. Bit knackered, but enjoying wandering Shinjuku. Coffee at Blue Bottle. Lunch at some random salaryman Ramen place (Ichiran queue was too much) and some great Yakitori for dinner in the backstreets behind Isetan (though Ms gnik struggled with all the cigarette smoke - back to the 80s). The staff in these cafes are often very interested to hear that you are from Melbourne as lot of the baristas have been/are going to Melbourne to learn about coffee - so always worth having a chat! Staying Shinjuku, so have coffee’d at Bluebottle & Verve. Headed to Shimokitazawa this arvo & enjoyed Bear Pond Espresso while daughter immersed herself in the vintage clothes shops. Unfortunately got rained out tonight at Naka-Meguro so got short-changed on the Sakura experience.